WELCOME to the Sweetest City in Texas! Sugar Land is much more than just a company town; it's a destination filled with a wealth of photo-worthy memories. â&#x20AC;&#x153;Sprinkle your memories with a dash of sweetnessâ&#x20AC;? Be inspired to try new things by checking out our latest posts on things to do, top places to visit, and must-attend shows. hether you’re dreaming about a trip to the “Sweetest City in Texas” or are already here, this guide is bursting with great ideas to make the best of your time in our city. Just 20 minutes southwest of downtown Houston, Sugar Land serves up big city amenities with small town hospitality. Come visit us to discover a piece of history, treat yourself to some on-trend shopping and enjoy hours of family fun! Our Sugar Packets are bundles filled with deals highlighting the best of Sugar Landâ&#x20AC;&#x2122;s attractions and hotels that are bursting with inspiration to make the best of your time in our city. Discover one-of-a-kind, curated experiencesâ&#x20AC;&#x201D;all at a significant discount. 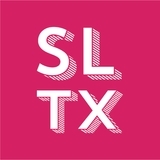 Start exploring now at VisitSugarLandTX.com. Create sweet memories while visiting Sugar Land, Texas. educational shows in the Digital Dome Theater, and get a glimpse of Devil Rex. After a fun-filled morning, head to Sugar Land Town Square to satisfy your dino-sized appetite with juicy burgers or tasty crepes from Guru Burgers & Crepes or Jupiter Pizza & Waffles for out-of-this-world pizza. Then work off your lunch at the Sugar Land Ice & Sports Center, where you can test your ice skating skills, or unleash your inner adventurer at Urban Air Adventure Park. SATURDAY Get a dose of freshness when you stop by the Farmers Market at Imperial for organic produce, artisan goods, and live music. Afterward, re-energize with a tasty picnic lunch on the lush grounds of Sugar Land Memorial Park and after head over to Stacked Ice Cream for a sweet treat. Cap your evening off with national acts and live entertainment at the Smart Financial Centre at Sugar Land. SUNDAY Shop until you drop at First Colony Mall, the Market at Town Center, and Lake Pointe Town Center. Established retailers such as Macy’s, Dillard’s, Kendra Scott, Lululemon, Saks Fifth Avenue OFF 5th, and Nordstrom Rack make it a breeze to find exactly what you need—and even better, what you want! Complete your weekend trip with a Sugar Land Skeeters baseball game at Constellation Field. Sugar Land’s growing art scene offers visitors exciting things to see and do throughout the city. Visitors can go to the Sugar Land Art Center & Gallery, where admission into this local artist collective is free. Space operates not only as a gallery, but also as a working artist studio. The Sugar Land Art Center & Gallery also offers adult and children’s art classes in a variety of disciplines and has a gift shop. a chance to check into the weather before taking flight at Sugar Land Regional Airport. Its job is to connect the viewer to the surrounding natural elements.” Lastly, visit artist Clark Murray’s sculpture Fourth Charm, on loan by the Museum of Fine Arts Houston, at the plaza adjacent to the Smart Financial Centre at Sugar Land. Sugar Land’s vibrant history is peppered with influences from Native Americans, the Spaniards, Mexicans and American pioneers. In 1821, Stephen F. Austin received a charter to settle 300 American families in Texas. The fertile land of Fort Bend County was included in Austin’s charter and eventually set the stage for Sugar Land's rich agricultural heritage. Stephen F. Austin receives charter to settle 300 American families in Texas. Samuel May Williams received the land where Sugar Land is now located from Stephen F. Austin and began growing sugarcane. Construction began on the Imperial Sugar Char House. Sugar Land is incorporated. The Houston Museum of Natural Science at Sugar Land opens in the old main unit of the Central State Prison Farm. Before its construction, American folk and blues musician, Huddie “Lead Belly” Ledbetter, was incarcerated in the wooden structure at the Imperial Prison Farm, where he wrote the words to “Midnight Special” before his pardon in 1925. Visit slheritage.org for more Sugar Land history. You can also take a tour of the Sugar Land Heritage Museum & Visitor Center or a historic walking tour led by a docent from the Sugar Land Heritage Foundation. Nathaniel F. Williams purchased the land from his brother, and his other brother, Matthew R. Williams, operated Oakland Plantation, which grew cotton, corn and sugarcane. The Williams brothers built a commercial sugar mill on the west bank of Oyster Creek. Isaac H. Kempner and William T. Eldridge partnered to form the Imperial Sugar Company. Benjamin F. Terry and William J. Kyle partnered to buy Oakland Plantation and renamed it Sugar Land. Sugar Land opens a series of destination attraction venues, including Constellation Field, the Smart Financial Centre at Sugar Land, and the Crown Festival Park at Sugar Land. FIRST COLONY MALL Sugar Land’s mall has more than 1 million square feet of shopping and dining, with established retailers like Macy’s, Dillard’s, Lululemon, Francesca’s, Kendra Scott, and Michael Kors. LAKE POINTE TOWN CENTER Shop and stroll in this urban-style village anchored by Whole Foods Market. This shopping center provides an assortment of salons and spas and waterfront dining, including Churrascos, Pacific Coast Tacos, Veritas Steak & Seafood, and others. MARKET AT TOWN CENTER This outlet-style shopping center includes Saks Fifth Avenue OFF 5th, Nordstrom Rack, DSW, Home Goods, and more. SUGAR LAND TOWN SQUARE At this mixed-use downtown development, you can find international dining choices from over six different countries within one block. It also features lively events in the plaza and specialty shopping that includes Altar'd State, Sur La Table, and La RĂŞve Bridal Couture. Univ ersit y Blv d.
JUPITER PIZZA & WAFFLES CO.
INING Nestled in the heart of one of the most ethnically diverse counties in the United States, Sugar Land boasts a global food scene that rivals cities three times its size. For a complete list of dining options to satisfy your taste buds, go to VisitSugarLandTX.com. Sugar Land comes alive at night with gastropubs, sports bars, and cocktail lounges. No matter what groove you’re in, surely you’ll find something captivating. Wine aficionados can enjoy small bites, wine and music at Vino & Vinyl, while craft beer enthusiasts can enjoy specialty beers from around the world at the Flying Saucer Draught Emporium. You also don’t want to miss out on the Prohibition-era bar The Sugar Refinery Grub & Grogs where their menu pairs well with classic cocktails like Whiskey Sours and Hemingways. PECIAL EVENTS With hundreds of events every year and a truly multicultural dynamic, Sugar Land always serves up something new. Foodies, culture enthusiasts, sports fanatics, and families are sure to find the perfect way to spend the day. For a complete listing of events, go to VisitSugarLandTX.com. May Here’s your chance to check out more than 100 Corvettes, and vote for the winner of the People’s Choice Award at Sugar Land Town Square. All proceeds benefit local charity organizations. Early July Pack up chairs and head to the Plaza to indulge in snacks, brews, and live country music. This event does not include a fireworks ceremony. Early August Beat the heat at Sugar Land Town Square! Bring your family to enjoy a fun-filled day before heading back to school. October 12-13 Dragon boat teams and stand-up paddle boarders race across Brooks Lake throughout the day while colorful cultural performances and exhibits show off their talents on shore during this popular event. October 24-27 Join thousands of foodies for dinners, tastings, demonstrations, and seminars in this highly anticipated and acclaimed multi-day event. October 27 Come out to Sugar Land Town Square for the Flying Saucer’s annual Beer Feast, featuring over 50 breweries, and 80 craft beers, all carefully selected by Flying Saucer’s resident beer gurus. Late November to early January The holiday season kicks off at Constellation Field with family-friendly activities, walk-through displays, and more than 2.5 million lights! CITY PARK & MUNICIPAL POOL 225 Seventh St., 77478 Every Day, Sunrise to 10 p.m.
FIRST COLONY PARK 3232 Austin Parkway, 77479 Every Day, Sunrise to 10 p.m.
IMPERIAL PARK & DISC GOLF COURSE 230 Matlage Way, 77478 Every Day, Sunrise to 10 p.m.
LOST CREEK PARK 3703 Lost Creek Blvd., 77479 Every Day, Sunrise to 10 p.m.
ISITOR INFORMATION Printed publications may be picked up at the Sugar Land Heritage Museum & Visitor Center on Monday from noon to 5 p.m. and Tuesday through Saturday 10 a.m. to 6 p.m. You can also pick up printed publications at any of our self-serve Visitor Kiosks located throughout the city. Please email tourism@sugarlandtx.gov to request Sugar Land visitor information. Follow Us! Tag your pics #SweeterinSL, and we might feature you on our social channels!